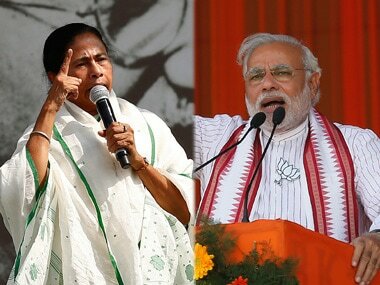 The crowd at Prime Minister Narendra Modi's rally at Kolkata's historical Brigade Maidan on Wednesday must have warmed the cockles of the BJP's heart as its strength matched that of public rallies held by former West Bengal chief minister Jyoti Basu, or even the incumbent, Mamata Banerjee. This is unprecedented for a state that has for long steered clear of the ideology that forms the core of the saffron front. 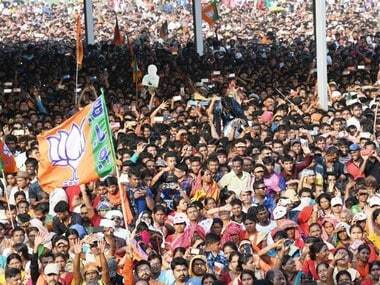 What does the crowd at Modi's Kolkata rally indicate? Did most of the people turn out to "see and hear" the prime minister, or is there an underlying message that analysts will have to take into account when discussing the political atmosphere in West Bengal? Is the BJP really gaining ground in a state where it currently has minuscule influence and faces ideological resistance from the masses? At present, the party has only two MPs from West Bengal and is aiming for 22 in this Lok Sabha election. The highly populous state sends 42 members to the Lower House. Commenting on Modi's rally in Kolkata, Anirban Ganguly, director of New Delhi-based think tank Dr Syama Prasad Mookerjee Research Foundation, said: "Modi was certainly a major attraction because of which Brigade Maidan saw such a huge gathering. But it's also an expression of the frustration of the people of Bengal against the oppressive politics of Mamata Banerjee, the existing extortion racket and syndicate and against the 'pishi-bhaipo' (aunt-nephew) government that does not believe in our Constitutional framework." At his campaign rally, Modi also made an aunt-nephew jibe, referring Mamata and her nephew Abhishek Banerjee. 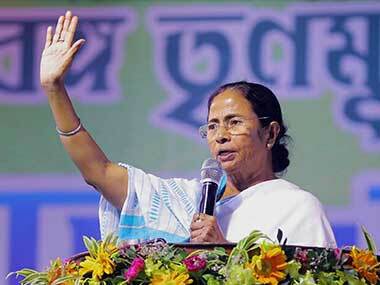 He appealed to the gathering to end the "dynastic politics" of the Trinamool Congress (TMC) in Bengal. If the crowd turned up at Modi's Kolkata rally not merely to catch a glimpse of the country's prime minister but, in fact, for its interest in the BJP, then the party may have finally found a foot inside the Bengal door that it so badly needs. The saffron front is clearly beginning to spread its wings in the eastern state. If it was at the expense of the Left initially, the TMC may now be contributing towards this. In 2011, Mamata had issued a clarion call of "Paribartan Chai" (we want change) with the support of the West Bengal intelligentsia to topple the Left government from the state after its 34-year rule. The Bengal intelligentsia, comprising eminent writers, painters, theatre personalities and academicians, lent their support to the TMC, but many of them later withdrew their backing due to "ideological differences". So what did lead to the BJP's rise in West Bengal? The party's biggest weapon is Mamata's appeasement policy. 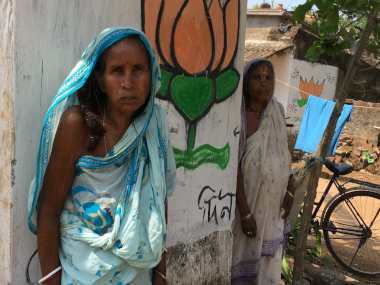 This apparently earned her undivided support from Bengal's Muslim community, which constitutes 27 percent of the population. 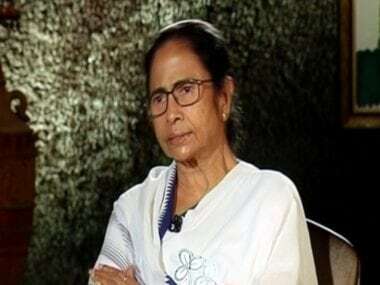 Her blatant attempts to appease minority communities with freebies, such as scholarships and stipends, clubbed with the deteriorating law and order situation in the state forced the largely secular urban Bengali voter to reconsider their unstinted support to the TMC. Furthermore, Bengal has become a fertile ground for overt Hindutva groups to take root in its soil because of the unchecked cross-border infiltration that has occurred over the decades. Over the years, illegal migration of people from Bangladesh has disturbed the homogeneity of the population in border districts, causing a demographic imbalance and giving rise to social problems. "The people of Bengal are visibly angry over this appeasement policy. The Left Front government had initiated it, and now, the TMC has taken it to another level. Towns and villages in the border districts of West Bengal, which have a large Muslim population, are facing the heat of this policy," said a Kolkata-based functionary of the Rashtriya Swayamsevak Sangh. "Whether it's a Durga Puja procession or Saraswati Puja, Hindus are living in fear. They can't blow a conch or hold processions as they used to earlier. A large number of Bengali Muslims from across the border have also occupied space, and the original settlers, comprising both Hindus and Muslims who lived together for decades, are being cornered. This is a major cause of anger," the RSS worker told Firstpost. Besides, the BJP always had the support of a pocket of the trader community, but now, there is growing support from a new middle-class Bengali. It seems that the BJP president Amit Shah's tagline "Ebar Bangla" (this time, Bengal) has slowly, but steadily, gained ground. RSS workers have backed his campaign at the grassroots. Although many in West Bengal consider Shah's target for the BJP to win 22 of Bengal's 42 parliamentary seats a hyperbole, the party has surely made its presence felt across the state ahead of the Lok Sabha election. Moreover, there is little doubt that Mamata nowadays views the BJP as a greater political threat than either the Congress, which has 42 seats in the Assembly against the TMC's 213 in the 295-member House, or the Left, which has 32. The BJP, in contrast, has three. The rise in the BJP's vote share from 6.2 percent in the 2009 Lok Sabha election to 16.8 percent in 2014 motivated the saffron party. Also, BJP’s resounding victory in the elections in the North East conclusively broke one of the most resistant stereotypes — that of the party being a "Hindi heartland" unit — especially after wresting power from the Communist Party of India (Marxist), which ruled Tripura for 25 years. "By winning Tripura, the BJP made the impossible feat possible… Now, we have to end the bomb-and-gun culture of the TMC in Bengal," Modi said at his Kolkata rally. What clearly has the Bengal chief minister worried is the jump in the BJP's vote share from three per cent in 2013 to 23 percent in a by-election this year, where it secured second place, relegating the Congress-Left combine to the third spot. Unlike the erstwhile ruling Left Front or present TMC government, the BJP is a rank outsider in Bengal and is also considered a 'North Indian party'. The strength of the gathering at Brigade Maidan for Modi's rally definitely begs a question. Invoking luminaries of Bengal — from Kazi Nazrul Islam, Lalan Fakir, Swami Vivekananda, Bankim Chandra Chatterjee and Rabindranath Tagore — to freedom fighters such as Khudiram Bose, Surya Sen, Aurobindo Ghose and Subhas Chandra Bose, Modi said Bengal represented a fusion of "revolution and poetry" (krantikarita aur kavita), which he said would serve as the driving force to realise "our dream of a New India".